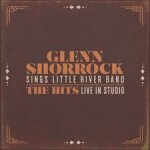 Share the post "Album review: GLENN SHORROCK – Glenn Shorrock Sings The Little River Band"
Although Little River Band (LRB) still exists, there are no original members in the band and the owner of the business name refuses to allow the founding members to perform with any sign of their heritage unless under strict legal guidelines. The LRB have certainly had more than their fair share of line-up changes, with Glenn Shorrock in the band for two spells – 1975–82 and 1987–96. The album covers many of the band’s well known songs, including a jazzier/lounge version of ‘Reminiscing’. Aside from Glenn Shorrock’s singing, which still sounds melodious and strong, sax player Ross Middleton is worthy of a special mention. His playing on ‘Shut Down Turn Off’ and ‘Help Is On The Way’ adds an extra sparkle. One of my personal favorites ‘Cool Change’ makes the album. On this version it is stripped down a little more, with a piano and gentle guitar strumming leading the way. The guitar solo is suitably impressive midway through. This entry was posted in ALBUM REVIEWS, ALBUM REVIEWS (Mobile), All Posts and tagged album, AOR, country, Glenn Shorrock, LITTLE RIVER BAND, melodic, pop rock, review, Sings The Little River Band, soft rock. Bookmark the permalink.